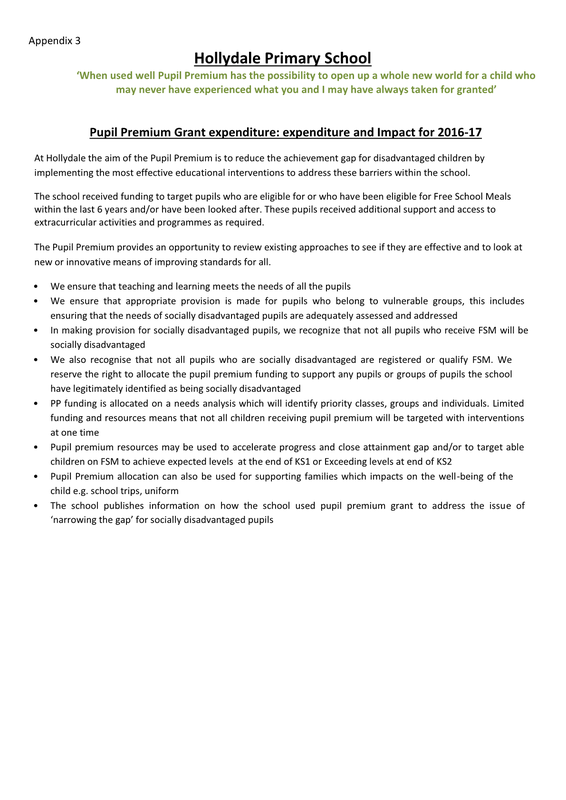 Pupil Premium is additional funding provided by the government to schools to support specific groups of children who may be vulnerable to possible underachievement. These include children who are entitled to free school meals; those who are looked after by the Local Authority and children of armed service personnel. We aim to ensure that every child leaves Hollydale excited about learning and determined to succeed. We want to equip them with confidence, resilience and a passion for justice and equality. These qualities will enable them to thrive and to champion kindness and fairness at all stages of their future lives. 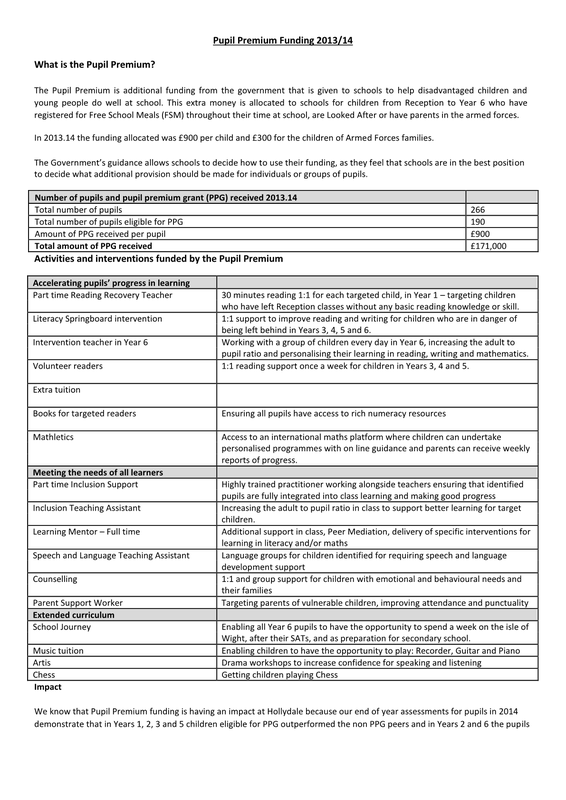 Pupil Premium funding will be allocated following annual needs analysis which will identify priority classes and groups. 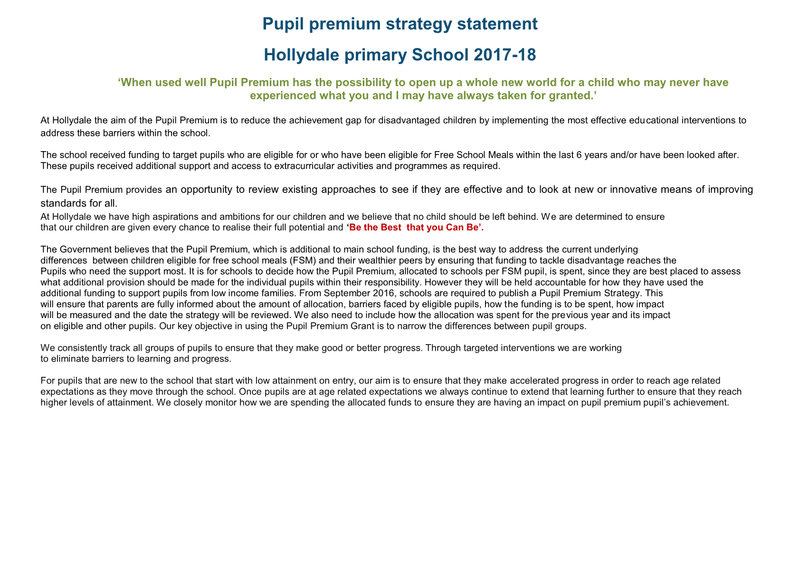 All our work funded by the Pupil Premium will be aimed at accelerating progress so that the vast majority of children leave Hollydale at, or above, the national average. We also aim for every child to make progress that is good or better, so that they leave having made at least 2 levels of progress from Key Stage 1 to Key Stage 2. Southwark council provides all primary school pupils with a free, healthy meal every day at school. Some families are also eligible to sign up for the government’s Free School Meal Programme. 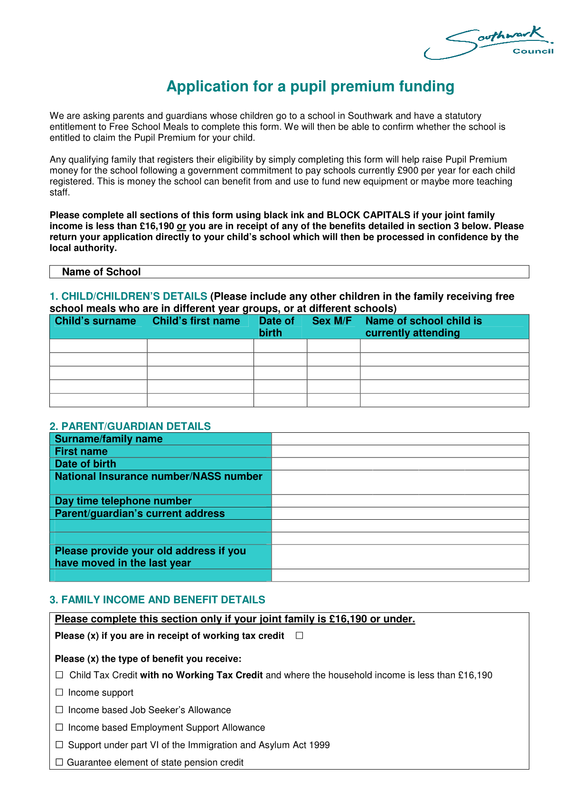 By signing up, the meal your child gets each day won’t change in any way but Hollydale will receive an extra £1,320 from the government. This extra money will make a big difference and could pay for new equipment, teachers or learning activities – all to improve your child’s school experience.